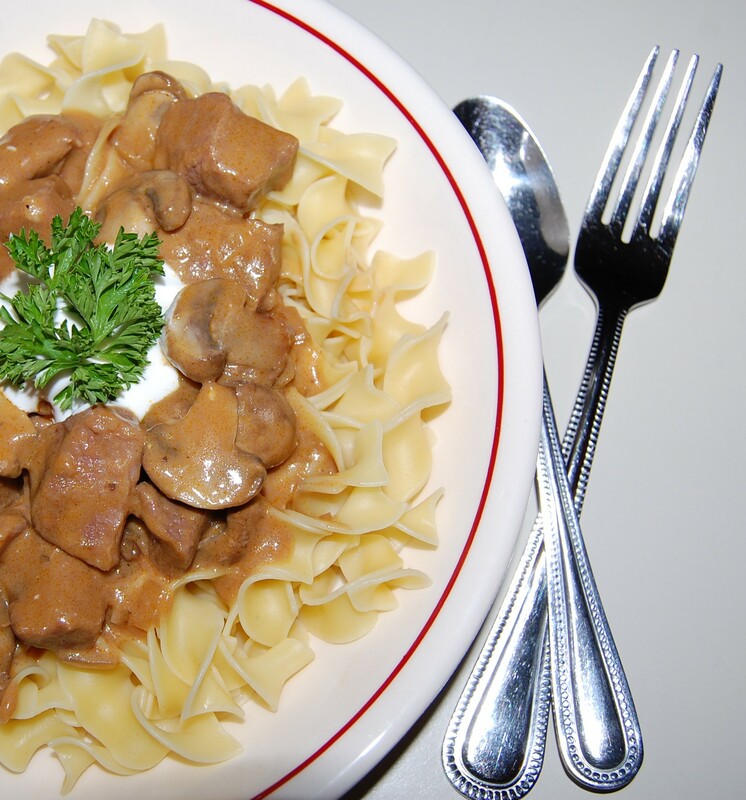 "Tender beef in a creamy mushroom gravy, served over hot buttered egg noodles." In a slow cooker, combine meat, golden mushroom soup, chopped onion, garlic, Worcestershire sauce, beef stock, French onion soup mix, salt and pepper. Cook on LOW setting for 5-6 hours. Sauté mushrooms in butter and add to slow cooker about a 1/2 an hour before done cooking. Stir in cream cheese and sour cream just before serving. Season with more salt and pepper if needed. Serve over a bed of buttered egg noodles.